I guess Mccain killed fitty men? McCain isn't that short! Sarah Palin's feet aren't that big! damn Japs shot off mah shins!! But I thought Peggy hated Cotton? 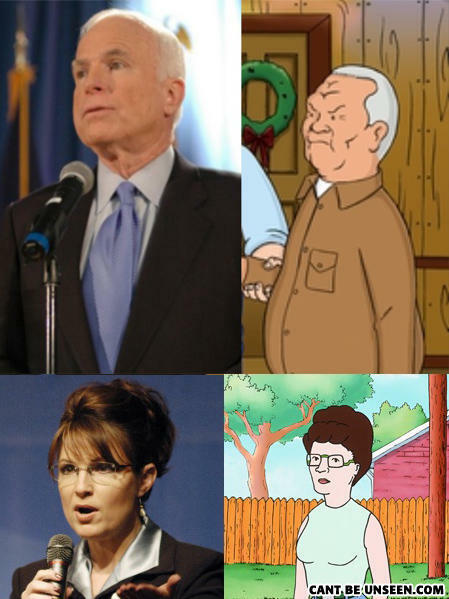 Peggy Hill is smart, Palin is not.